When Sachin never thought he would be an entrepreneur! Hailing from a middle class village family where his father used to run a store, Sachin had a childhood which was modest in means and typically rural in origin. From a very young age he didn’t have much interest in the usual scheme of things and wanted to do something different. He studied at the village Hindi medium school, was never a very good student but always tried his best. When asked about his modest beginnings now, and whether that affected him in his journey in any way, Sachin clearly says that his Hindi medium village background has never made him shy or conscious on his way to success. In his words, “Language is just a medium of expression, not a measure of success.”This attitude never held him back from unleashing his full potential in whatever he attempted to do in future. Entrepreneurship is generally discouraged in middle class Indian families. And as a child Sachin never thought he would become an entrepreneur. Aspiring entrepreneurs in India are sternly advised by their elders to change gear and settle for security. Fear of rebuke or rejection by family should have kept Sachin from any entrepreneurial aspirations. This was the first resistance he had to overcome as he was making up his mind. In India resistance to entrepreneurship comes from deep-rooted cultural mores. Preference is towards working for someone, rather than creating jobs. Sachin also faced similar resistance from his family. His parents were keen that he did well in his studies, secured good results and settled down in a decent job. They sent him to a city school to better his chances. But studies and getting top rank in exams were not among his higher priorities. He had a wider perspective and like most young people found interests in a variety of extra-curricular activities which grown-ups can read as hindrance to studies. After school, he appeared for various competitive exams for studying Engineering and later got admitted into an Engineering College. But right from the start, Sachin never found much interest in the subject and finally left the Engineering course in its final year. To Sachin, an Engineering degree seemed meaningless since he realized it would never get him what he wanted to do in life and make him merely a job seeker like everyone else. To him, completing the engineering degree came across as not an end, but the beginning of a new struggle. The prospect of being job-less, stressed out and mailing resume after resume was not appealing to Sachin at all. Moreover, it was said that 20-35 percent of engineering college pass-outs in India run the risk of not getting jobs at all. The whole thing look daunting and without purpose. For Sachin, this was a difficult phase of life full of self-doubt and having left engineering in its final year, he ran into a difficult patch with his family since his parents thought he was getting distracted in the new city life and merely squandering away his life and opportunities. But in Sachin’s journey towards becoming a successful entrepreneur, unknown even to himself then, this was his first act of risk taking based solely on his intuition. He refused to go down the usual way and remain a mediocre job seeker all his life and look the plunge towards doing something different…and making it big! Sachin’s family called him “confused” and told him to concentrate on his studies. His parents were totally unhappy and disappointed that Sachin was“squandering the opportunities” they had provided him with to do something worthwhile. He was not focused, they said. But Sachin was set for a new phase in life. 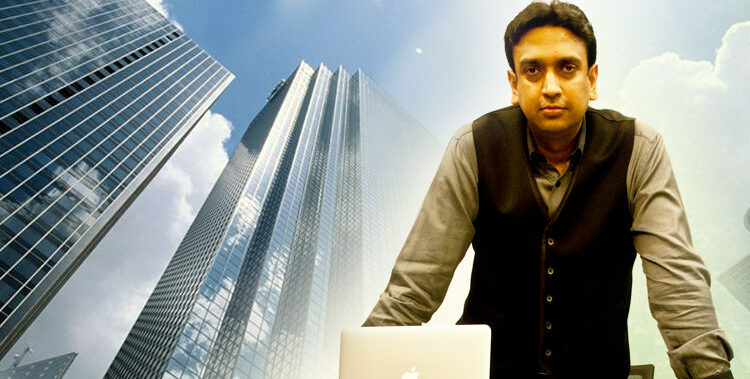 Today Sachin Mittal is a big entrepreneur owning several companies and financing several more as a venture capitalist. But was the path of his journey always rosy? Not really. After he left his engineering course in its final year, he went through a very tough phase of life, complete with self-doubt and problems with family, his future shrouded with uncertainty and confusion regarding the way forward. At this juncture of his life, Sachin came in contact with an IAS officer who motivated and inspired him a great deal. His influence resulted in young Sachin to want to appear for the IAS exam himself. He prepared, tried his best and attempted it thrice but never made it. But Sachin being the person he was, never got bogged down by failures. Not getting bogged down by failures continued to be one of his major strengths which always carried him through all setbacks.He believed that life was not tough and never a challenge. It was always fun with scope to learn something new at every turn. But after the three attempts at the IAS exams Sachin emerged wiser and more well-read and knowledgeable than maybe even those who succeeded. Thereafter, for a brief period of time, Sachin tried his hand at teaching. In his continuous strive in trying out avenues which felt right and where he could grow, he became a teacher. However, this also didn’t feel quite right to him since he realized that he himself had not really succeeded where academics was concerned and could not justify being a teacher to himself. These are still early days of social e-commerce. We will see much better times and soon e-shopping will not only be convenient but also credible and something which one can fully trust. Major social networks like Facebook and Twitter are presently only directing paid media to bring customer to their online platforms. Peer-to-peer and group based interactions are also in early and experimental stage. Friends’ recommendations can play a major role in purchase. As per a Gartner report, 74% of the consumers rely on friends’ recommendations to make a purchase. A bank job…or so he thought! It was around this time in 2003 when on a random day he spotted an advertisement for a bank job. He applied and got through, only to realize later that it was not really a job in a bank but in a bank’s DSA where he was required to sell home loans to people. So in 2003, in an attempt to become a banker, he landed himself in the role of a loan agent, and this, unknown to him then, was perhaps the turning point in his life. Once again, Sachin was on a new path to explore! He tried his best in his new role as a loan agent and soon found himself to be one of the most intelligent of the lot he was working with. Home loan being a buyer’s market, Sachin found it easier and more suitable for himself and made the best of the job at hand. He soon found many takers and before he knew it he had become the top performer out of all the 200 loan agents that worked for the bank! The period from 2003 to 2010 was the real turning point in Sachin’s life, the period where he was on the fast-track to success and there was no stopping him! During this time, while he was giving loans to other successful and influential people, he got the scope to come in close proximity with them. Sachin came to know more and more about these successful clientele of his, what they did, how they lived, what principles they worked by and the like. The blurred vision of his future was gradually taking shape in his mind and the picture of where he was headed and what he wanted to be slowly became clearer day by day. In 2010, Sachin became the largest distributor, disbursing loans worth Rs 5000 crores and finally became bigger than the bank itself.